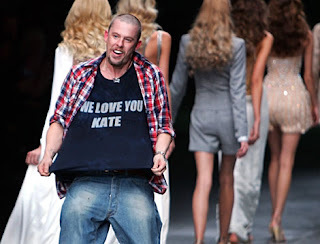 In Memoriam: A Note Regarding the Death of Alexander McQueen | Fashion. Style. Beauty. | Life is short. Live well. I hate to start Fashion Week off on a down note but seconds ago I just learned that legendary fashion designer Alexander McQueen was found dead in his London home today. He was 40 years old. I’ve just come the Bryant Park tents and was literally just thinking what it must be like to attend London Fashion Week, especially the ability to see McQueen in action live on the catwalk. I’m deeply saddened that I, among many others, will never get that chance. 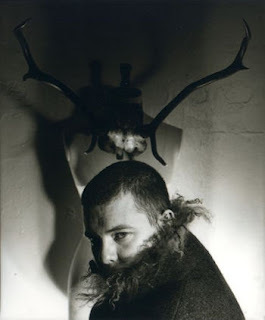 Alexander McQueen was a genius designer with a long-standing book of work that shows his incredible creativity and wit. He stood up for Kate Moss when many designers turned their back. His master mix of madcap fantasy and brilliant cuts will live on forever. He was always one of my favorite designers and his legend will live on in the fashion community (and with me) forever. I write this post because at times like this, it’s hard for me to feel that I cannot do something. A post wishing him well and speaking to his brilliance is my way of dealing with the sickness I feel about his passing. It’s truly a dark day for fans of his work. Fashion has lost a favored son. Thank you for sharing your genius with us while you could, Alexander McQueen. You will be sorely missed.